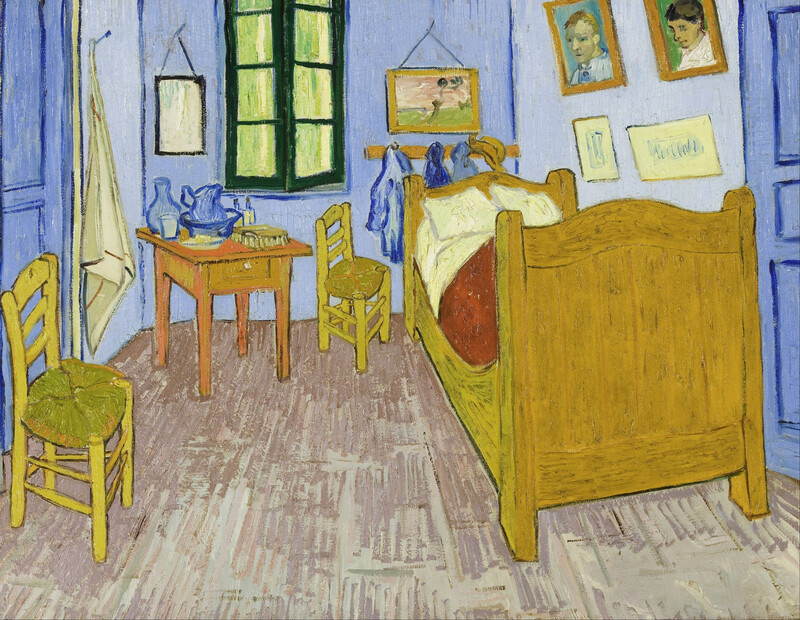 Van Gogh had 38 different addresses in his lifetime, but only a few stick out to us now. 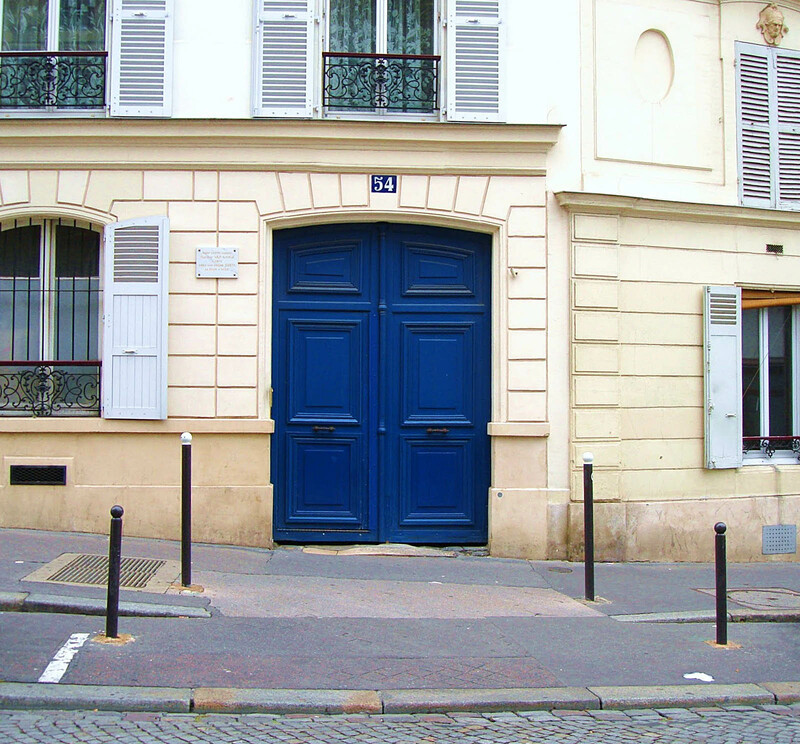 One is the Paris apartment he shared with his brother Theo at #54 rue Lepic. For an art fan, a tour of Montmartre isn’t complete without a pause in front of the building’s front door. On July 27th of that year, for whatever reason, Vincent’s usual outdoor kit of paint tubes and brushes included an incongruous addition: a handgun. Alone in broad daylight, among the wisps of a sun-dappled field he was meant to be capturing on canvas, he pointed the pistol to his chest and pulled the trigger. Having missed his own heart, he managed to stagger back inside the 75 square feet of his rented room where he suffered for two days before passing away with his brother Theo at his side. The two siblings would later be buried in the very same town, tucked away in a quiet nondescript cemetery. Van Gogh was 37 years old. Which is why I’m writing this post. I recently turned 38, which had seemed like a perfectly insignificant milestone…until I visited this town. The fact that I’ve now outlived Van Gogh got me thinking about what a life is, what makes it meaningful. I stacked up my own 37 years against his. And although judging yourself against another’s accomplishments is always a mistake (especially against a genius in their field), I saw it as a general wake-up call to start creating again. Thanks a lot, glad you enjoyed it. Welcome back Frenchfrye, you’ve been greatly missed. I got a chill when I learned of hisbage of death. Thanks for the history (and life) lesson. But you are so right and this was beautifully written. I’m a big Van Gogh fan as well and I look forward to reading all your posts and other works again! Haha thanks MarinaSofia, I guess we all have those little reminders from time to time that we have potential to do important things. I appreciate you commenting! Have a great day. I’m so glad your back at it. I’m always touched in some way by your writing, Co. btw – Congratulations! Thanks Jeanne :-) So glad you read it! Hope you’re doing well. Welcome back! It will be a delight to read your ongoing adventures again. Thanks Lynette! I’m touched to see that I still have some fans that have stuck around. :-) Yes let the adventures begin! Merci! I appreciate the kind words. Thanks for reading and commenting, have a great one! Thanks Theadora, that always means a lot coming from you! I consider your blog posts to be the gold standard…in fact if anyone else is reading this comment, check out this lady’s site immediately! I’d still love to grab coffee one day and chat about Paris. Let me know if you have any free time one of these days. Take care! Soooo happy you’re back! I missed you! Thanks Linda I’m so happy to hear from one of my most loyal readers! Hope you’re well. Give Tom my best and take care! Good to have you back. Looking forward to more of your posts. Thank you. Always a fan of your wonderful posts as well. I believe we also have a common friend in Heather Munro! It’s madness to compare yourself to another artist (or writer or musician) — unless it sparks a desire to start creating and exploring again, as Van Gogh has inspired you to do. How wonderful! Your writing is as beautiful and evocative as ever, Corey. I’ve greatly missed your voice … and am thrilled you’re back. PS: Bon et joyeux anniversaire, en retard !! Thanks Heather! I can always count on your kindness and enthusiasm. :-) Looking forward to my reentry into the blogosphere. 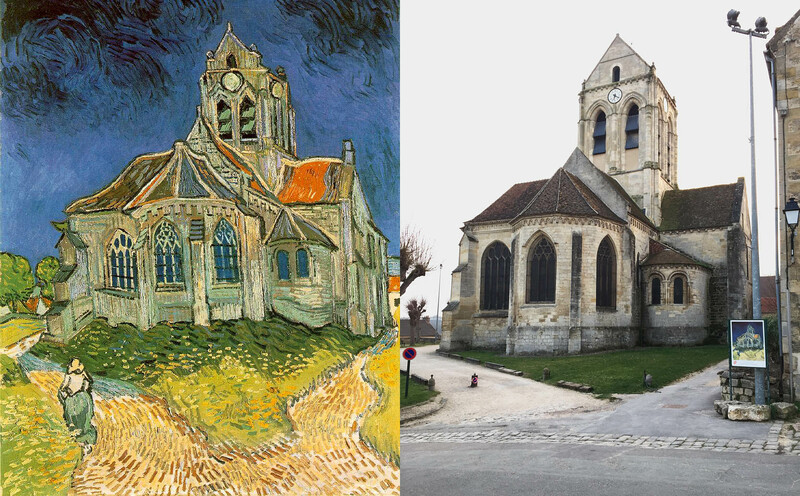 did you purposely follow van gogh’s life track from outside paris to arles? interesting post, indeed. Écrire fait partie de la joie de vivre. ne l’arrêtez jamais. welcome back! Thanks for your comment! Yes writing is I’ve of life’s little pleasures. :-) No I haven’t been to Arles, I hope to go one day. Glad to be back and glad to have you as a reader! I was so excited to see your blog pop up this morning. I was on my phone and haven’t mastered the art of commenting there yet so am just now getting on a computer. I love your topic and wanted to tell you I’ve been all those places, plus Mausole St Paul in St-Remy de Provence, most more than once. I love them all. Wow Lee you must be a true Van Gogh fan to have visited all these spots! Thanks for your kind words and thanks for stopping to leave a comment. Glad to have you back as a reader! But seriously, 38?!? When did that happen? I’ve been there once. It was a very great experiences going around thinking that I was stepping the same ground that Vincent’d done. Yes I love that feeling. Thanks for reading and commenting Maria, I appreciate it! Have a great day. Thanks I appreciate that. I look forward to writing more for all of you! What an interesting perspective. No, it’s never good to compare your life with others’, but a little reflection on the meaning of life is always a good thing! Looking forward to reading more on the blog! Thanks Garlands, great to have your take on it. Yes if we’re lucky we can occasionally be reminded of what’s important. Harder and harder in this day and age! I appreciate your interest and I’m glad to add you as a reader. Take care. I was pleased to see your new post in my email inbox. It prompted me to go over to your website, and I enjoyed reading the articles that I had somehow missed. Your blogs new layout is perfect. May I ask which WordPress theme you are using? I hope you are happy and well. Keep writing: you are very talented. Hi Barbara, I believe the theme is called Cubic. It looks particularly great in the mobile version, I’m happy with out. Thanks for your support and kind words! P.S. You definitely were missed by me! Yours is the only blog that I remain subscribed to in this day of information overload. I’m not writing these days, nor do I still have the art magazine, but I am spending a lot of time fostering rescue cats. Here is a photo of the orphans that I have been bottlefeeding since the age of two weeks. Thanks a lot, I’m honored to still have a spot on your blog short list! Best of luck with all those kitties! So thrilled to have found your blog. I went to Paris in 2009.Once in May to celebrate my daughters birthday and in November when she received her diploma from Le Cordon Bleu. I always dreamt of seeing Paris but even though I traveled all over Europe in my early years (former airline employee) somehow I never made it to Paris. I think the Universe was making me wait so that I could enjoy it with my wonderful daughter. Wonderful article… We are fans of Van Gogh and enjoyed seeing again places we have traveled to “walk in his footsteps”. There is a most interesting article, available online, in Vanity Fair magazine about the theory of whether or not he killed himself. Your blog post truly gave me something to ponder today! Best wishes on your writing! Thanks Margaret! I always love giving readers a bit of food for thought. Is that article the same one that suggests Gauguin cut off the ear in an argument? If so I’m familiar with it. It’s a fun thing to ponder. looking to get our app NANPISA out there with advert banners. Let me know if you do such a thing and if so what charge to run say a day, a wk, a month? Hi Corey, Did you notice that Van Gogh did not paint a door on the church? I think this was a way of showing his hopelessness in life as he started his professional life as a Missionary before he became a painter. 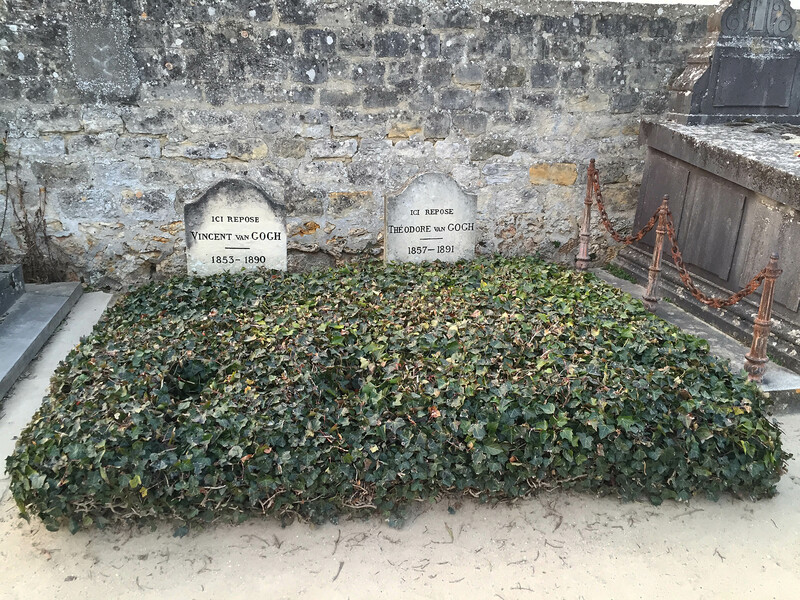 Loved this blog and your pictures of Van Gogh’s vantage point! Hi thanks for your comment. No I didn’t notice the lack of a door! Quite interesting indeed! I had seen the painting a few times in the Orsay which is why seeing the church in real life was such a thrill.